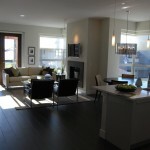 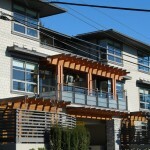 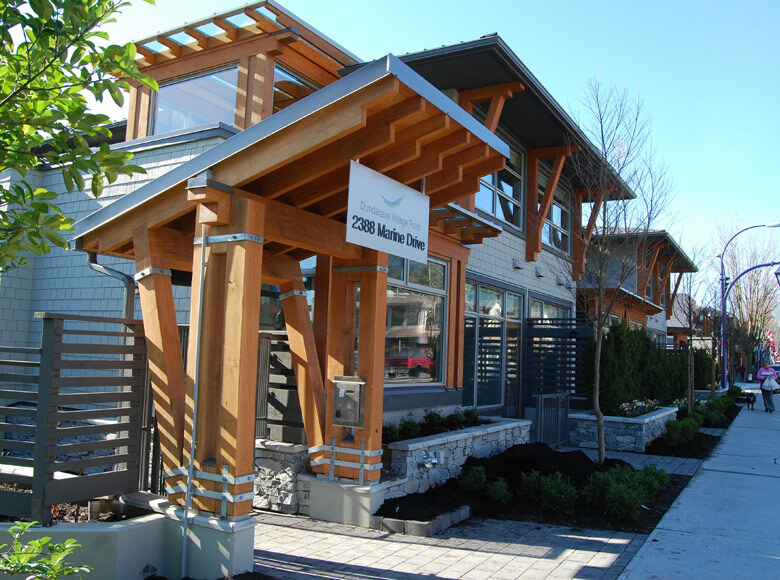 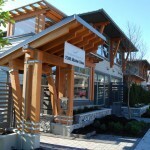 This is the first Certified Gold “Built Green” project in Dundarave West Vancouver and includes geothermal heating. 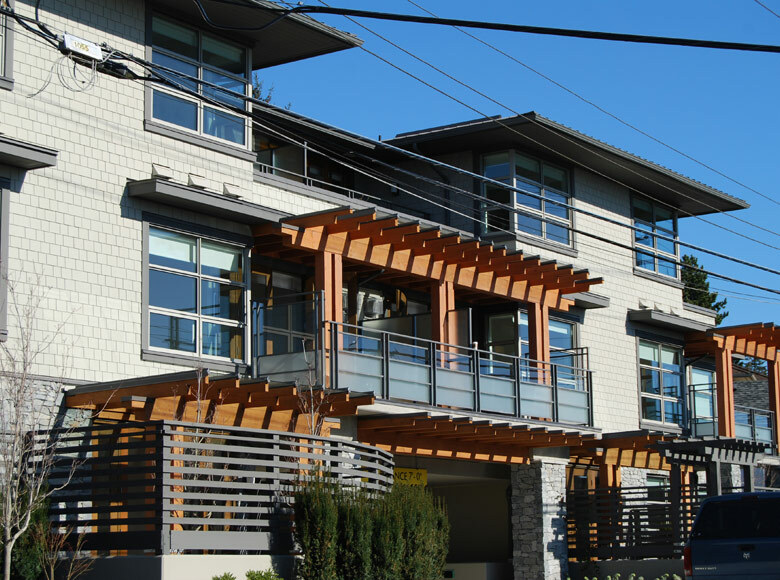 With a mix of live/work and luxury condominium units, the project has been integrated into the edge of the well established Dundarave Village offering ocean views, good access to transit and the local village amenities. 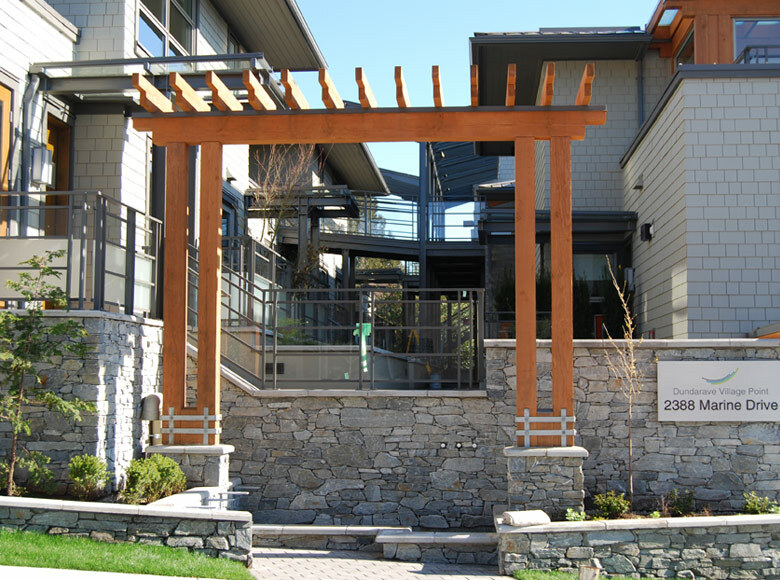 In addition to the sustainable design features of “Built Green” the project has achieved the highest level for aging in place. 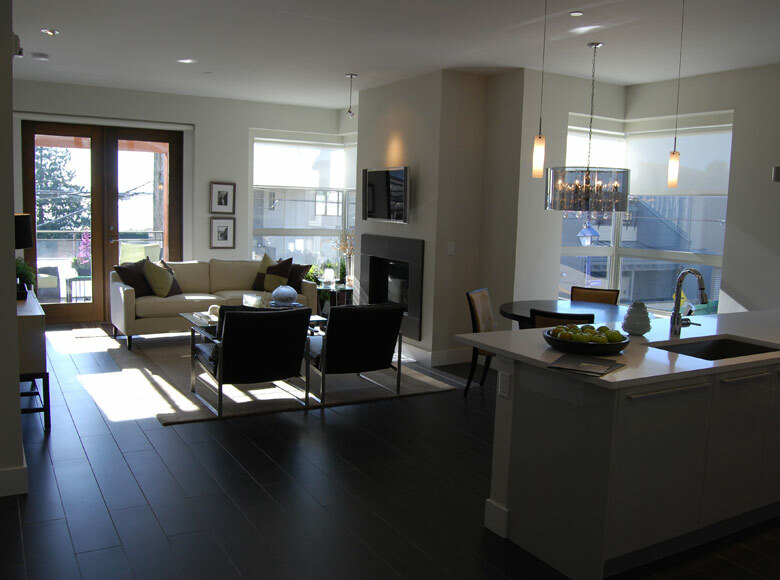 The majority of units provide for increased accessibility with features such as roll in showers, dropped counters in bathrooms/kitchens, offset taps, enhanced emergency annunciation, increased hallway widths and automated doors to name a few. 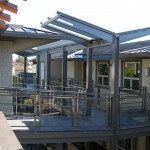 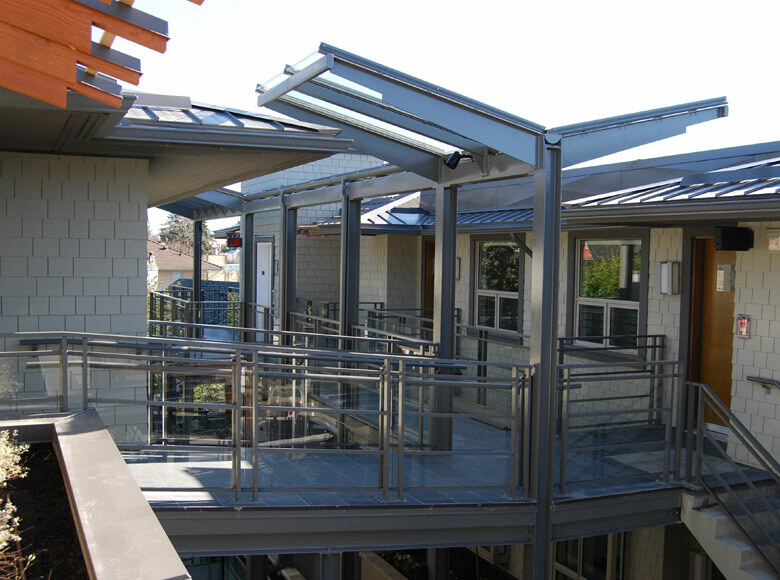 A major building design feature was the splitting of the building in two on an east / west access that allows for more natural light and air to the units along with the stepping of the building down the slope.